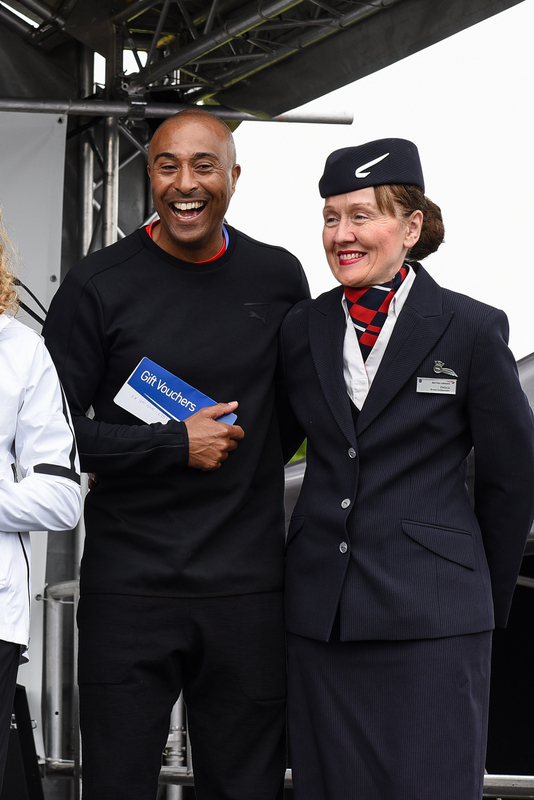 British Airways Run Gatwick confirm that top former athletes Sally Gunnell OBE and Iwan Thomas MBE, both Flying Start ambassadors will be attending the event on Sunday 13th May 2018. Former track and field athlete and Olympic gold medallist Sally Gunnell will be taking part in the pre-race warm-up and starting the Family Run, a fun 1-mile run for young runners aged 4 and upwards. Meanwhile Iwan Thomas, the Welsh former European and Commonwealth champion for 400 metres, will be taking part in the warm-up and starting the Corporate 5K, before jumping in to run the race himself. Iwan’s participation in the Corporate 5K will come as welcome news to the many local businesses entered into this fun and competitive race, and is expected to encourage a number of last-minute entries from teams wanting to be involved in this superb day of sport. It is of great credit to British Airways Run Gatwick to have such high-profile names attend the inaugural event. Sally and Iwan join Welsh former sprinting and hurdling athlete Colin Jackson CBE who has already confirmed his support for runners and will be starting the International Half Marathon at 9am. All three former athletes are ambassadors for Flying Start, the global charity partnership between British Airways and Comic Relief. The presence of such popular faces in running will be of great motivation to the thousands of competitors set to take on the International Half Marathon, 5K race, Corporate 5K and Family Run in less than two weeks. With all three races being officially started by Sally, Iwan or Colin, Iwan taking part in the Corporate 5K and the three former athletes meeting runners throughout the day, it will be an incredibly inspiring event for runners at every distance. British Airways Run Gatwick takes place on traffic-free routes through the parks, towns and beautiful West Sussex countryside around Gatwick Airport. 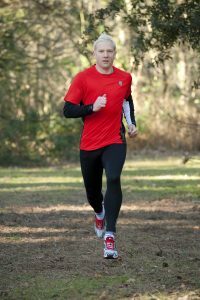 The event is set to provide a high-quality runner experience for all, with a first-class event village located at Crawley’s Southgate Park. Runners can look forward to a huge bag drop, an amazing festival stage with live music and commentary, a pre-race warm-up attended by both Sally and Iwan, staggered start times and a team of pacers helping runners to hit their target times in the half marathon. The choice of four race distances means that runners of all ages and abilities are encouraged to get active and enjoy the experience of a big sporting event, and the whole day is expected to be an inspirational day of sport and achievement. The National Charity Partner for British Airways Run Gatwick is British Airways Flying Start. The Local Charity Partners for the 2018 event are Kent, Surrey and Sussex Air Ambulance, Carers Support, Neurokinex Kids, Crawley Open House and St Catherine’s Hospice. The 2018 British Airways Run Gatwick takes place on Sunday 13th May and entries are still open to all races. Entry costs £36 for the International Half Marathon and £25 for the 5K or Corporate 5K. Entry to the Family Run costs £12 for children aged 4-15 years, and £1 for accompanying adults.